I just hit 100,000 words on the current WIP tonight. Still got a bit to go, but that’s some kind of milestone, right? Here’s the view from my study window this morning. Autumn had a late start in Canberra this year, but it’s here now. We haven’t had a whole lot of fog yet, but clearly it’s on its way. And, in other news, the WIP is now sitting on 81,000 words! And I’ve kicked a couple of important plot milestones over the goal line, so whichever way I count it, I’m making progress. Also, because I’m starting to get glimpses of the light at the end of the tunnel, I’ve started planning a new suite of short stories to get into once I’m done with the first draft of this manuscript. Onwards and upwards. Or something. Happy new year! I hope 2014 was a good year for you, or at least had good bits. And here’s to 2015 being even better. I sold 5 stories! This beat my previous pattern of selling one per year, so I’m pretty chuffed. Three of them sold to the first place I subbed them to, which I’m also pretty chuffed about. And that’s my excuse for not making my target of 25 submissions. I ran out of stories to submit. I made my first sale to a pro market. I got an Honourable Mention for one of the stories I subbed to the Writers of the Future Competition. I finally got Novel Project #1 into a state to start sending out to agents, and I wrote a synopsis (which I consider equivalent to having gained a new skill). 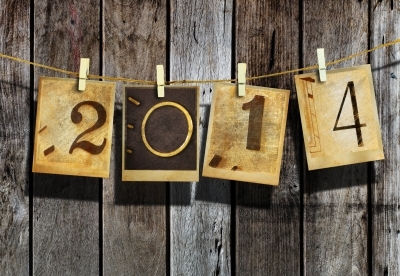 So what’s on the cards for 2015? Find an agent for Novel Project #1. Write (and sell!!) more short stories. I’m going to aim for 15 submissions this year. That’s a bit low, but my trunk is basically empty at the moment, so I’m going to have to write some before I can submit them. I think 15 is probably going to be a stretch. Let’s aim high: I’d like to finish a first draft of Novel Project #3 or #4, and do substantial work on the other one. Finish and polish up a few half-written stories and first drafts of novellas I have sitting in the trunk. I’m also going to have a stab at learning another language. I’m going to try French! 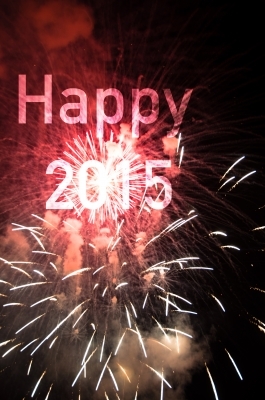 Here’s hoping that 2015 will be a good year! I wish you every happiness and success with all your goals in the coming months.